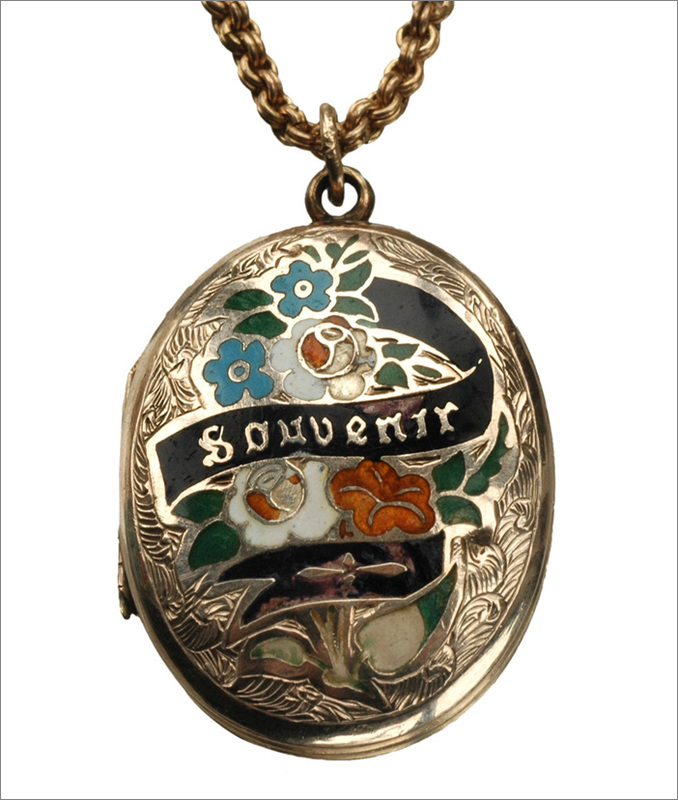 This unique 1890’s ‘Souvenir’ locket and chain is available from Erie Basin. I almost wrote ‘1980’s’ by mistake. That would really change things.